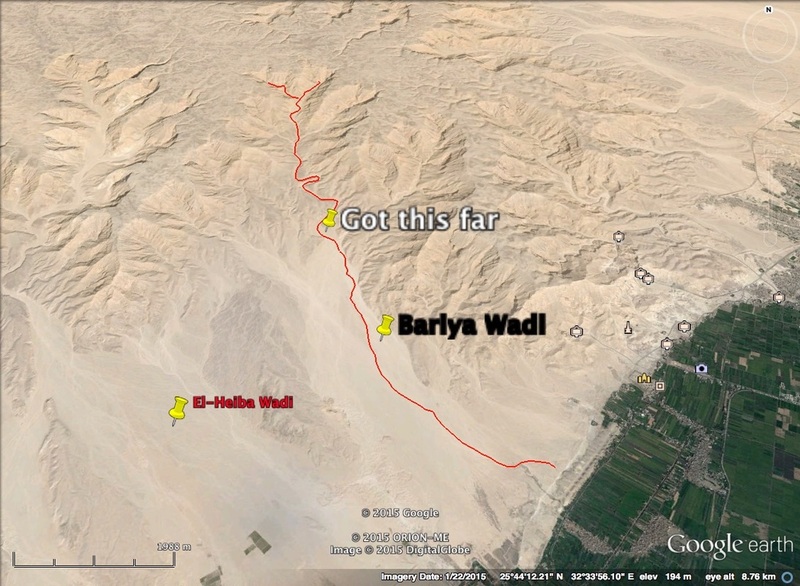 The Bariya wadi is a 14-kilometer trip from the road between Medinet Habu to Shelwit. 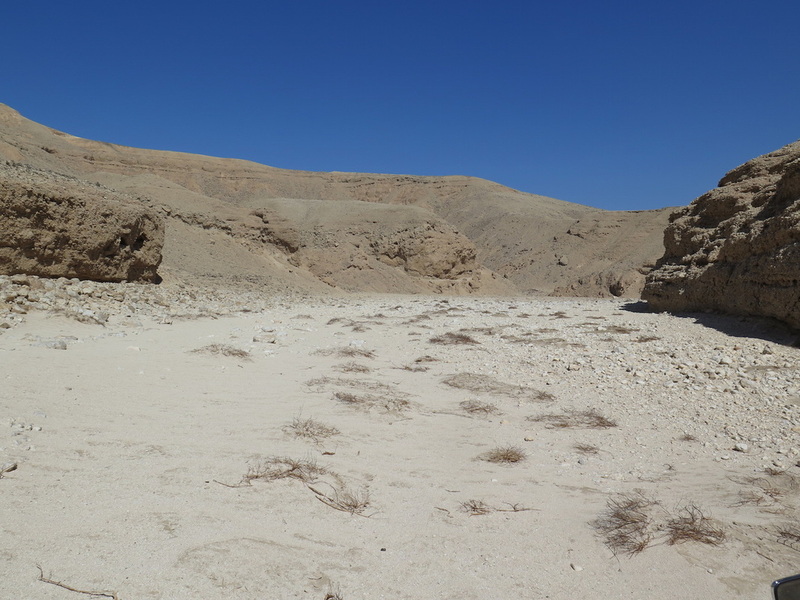 I travelled 6 kilometres to reach the mouth/entrance to this wadi and only managed a further 3 kilometres before having to give up. 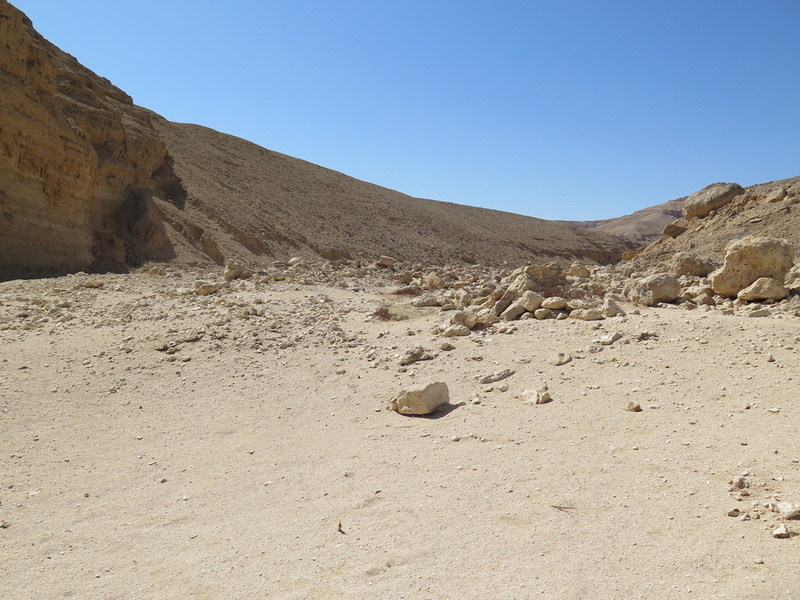 I did not manage to complete my project by exploring the wadi to its end. I am becoming more and more aware and concerned for my safety and security on these Wadi trips as I always travel alone. Fortunately, the first three kilometres after leaving the road is flat and I am able to constantly look back and behind me, to see if there is anyone following me. My landlord always knows where I am going on a trip, as I always put a map with coordinates under his door before I leave. The trip, as far as I could go on my bike was extremely rough going. 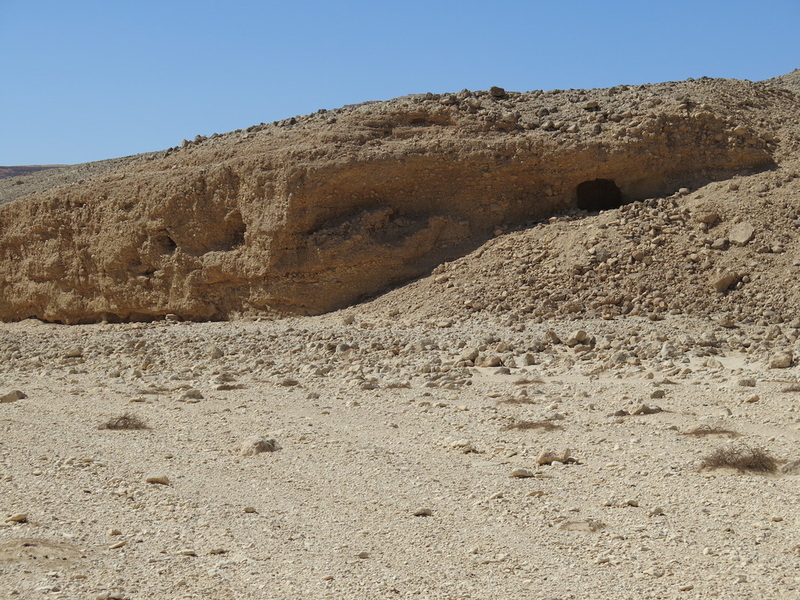 I got as far as the site where an American mission have been working on several Pit Tombs, I got this far once before when I was looking for the Gharbi Wadi and was seeking it in the wrong area. The Archaeology site this time was amazingly sterile, no evidence of it to see at all. They were not working there. They have tidied everything up, almost disguising its ever existence. The hill that the site is on has had its path to get there completely covered. The hill looked just like any other. I had to go this way and to turn a corner around this site. The tracks are not at all clear and it’s a case of taking up another rout when it looks to be a better one and goes in the direction I want; I am quite sure that I actually travelled many more kilometres than the planned rout as stated above. Many times towards the end of my journey, my bike got sand stuck where the wheels got partly buried, it was difficult to get the bike out of the sand and back on secure ground, as it is quite heavy. Nevertheless, I went as far as I could go before having to give up. 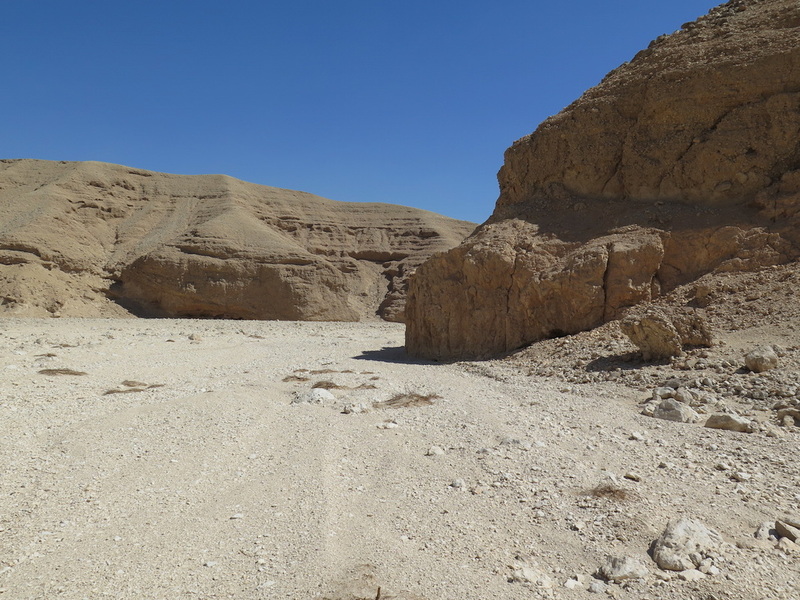 I parked the bike and walked a little further to take a look around the next corner of the wadi. The wadi as thus far, was not very interesting. The beginning is quite wide and almost featureless compared with others I have explored. 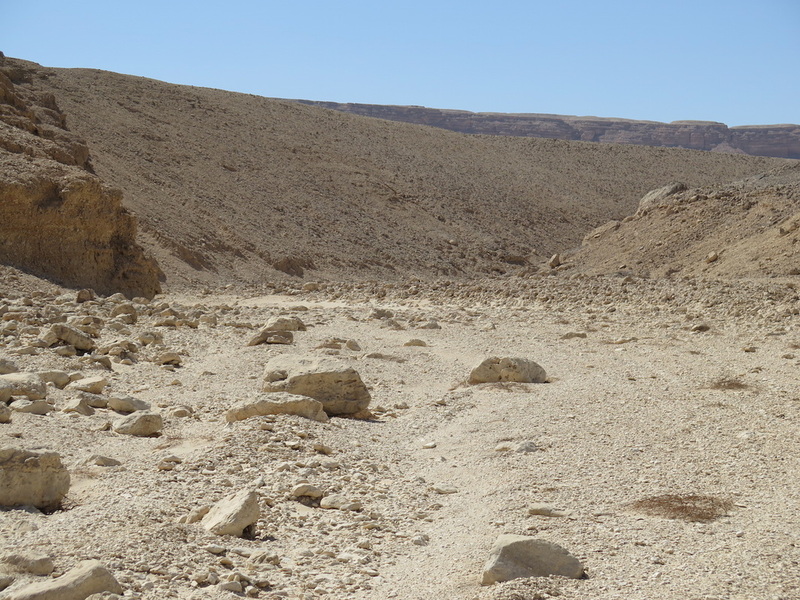 I am sure though, that the more interesting parts of this wadi lay ahead of me where it turns and weaves its way to the end. Sadly, the heat of the day got the better of me and I decided to go no further and return home. At the point where I decided to go no further, I had dug my bike out of its third sand hole, the temperature now being 30c. After a trusty cola, I turned around to make my way back. Naturally on the return from these wadis, I always find the correct track to take. Even though it was not a successful exploration, it was indeed an adventure, perhaps one that I will not attempt again. Although not the best wadi I have explored; perhaps better at the end, it still has its own beauty, calmness and tranquility and are normally very pleasant trips to take; perhaps better in the winter times. I am now tired, a little achy, have a good tan but settling down to chicken and fries. Mmm.